Mobile Joomla! 0.9.1 is released. This release addresses certain bugs reported on Mobile Joomla! Forums. You can download the latest version from Mobile Joomla! Download page. Remember to subscribe our RSS feed and follow us on Twitter to receive latest news and updates. Mobile Joomla! is now Beta! Mobile Joomla! is finally ready to public beta phase, which is available to all registered users. Yes, no need to an invitation! We spent a lot of time on improvements and bug fixes to make Mobile Joomla! more spable and compatible on different server setups. No invitations needed. Just join Mobile Joomla! If you haven't yet, please join us. If you're already a member, login and head over to the download page. Remember to keep in touch with us in Mobile Joomla! Forums and on Twitter. You're welcome with your questions, feature requests, bug reports or any other kind of feedback. We have kept the pace up, and here you are, the third alpha release of Mobile Joomla! just after another 2 weeks. Although majority of the effort was on improvements and little fixes, we also managed to introduce a new exciting feature for you; the submenus. - Submenus. A long awaited feature; now it is possible to have your submenus with the mobile version of your site. As with before, this release is also invitation only. If you have the invitation, just proceed to the download page, and upgrade your installation with the new package. Those who still didn't get invitations, no need to worry, more invitations will be coming soon! Remember to keep in touch with us in our forum. You're welcome with your questions, feature requests or any other kind of feedback. New Alpha Version is Out! After just two weeks releasing the first version, thanks to the great amount feedback from our community, now it is time for the next release! - The whole installation procedure improved, reduced to just one single step. - Mobile device detection got a substantial increase of speed and also is more accurate. - Memory usage is greatly optimized to work even with the most limited configurations. For those who were lucky enough to get the first release, it is advisable to uninstall your Mobile Joomla! component first, instead of upgrading directly, just for this one time. Then proceed with the new package and enjoy even better and faster Mobile Joomla! First timers can directly go on with installing. Remember, feedback of nice people lead in nicer improvements. So do not hesitate to keep in touch with us in our forums, either asking for help, telling your complaints or for a plain 'thank you', so that it gets even better! Mobile Joomla! Alpha coming very soon! When will Mobile Joomla! be released? This is the question we receive the most from our community members. In order to give you good Christmas news and clear question marks; we decided to give you details about our Mobile Joomla! release plan. Mobile Joomla! is currently in pre-release phase. The aim of the pre-release is to showcase Mobile Joomla! capabilities and more importantly to receive feedback on how Mobile Joomla! performs on different mobile phones. During this phase, have received many valuable feedback from our community members and improved Mobile Joomla! fixing problems and adding new features. Alpha release is our next step and will be invitation-only. In this phase, we will start distributing Mobile Joomla! 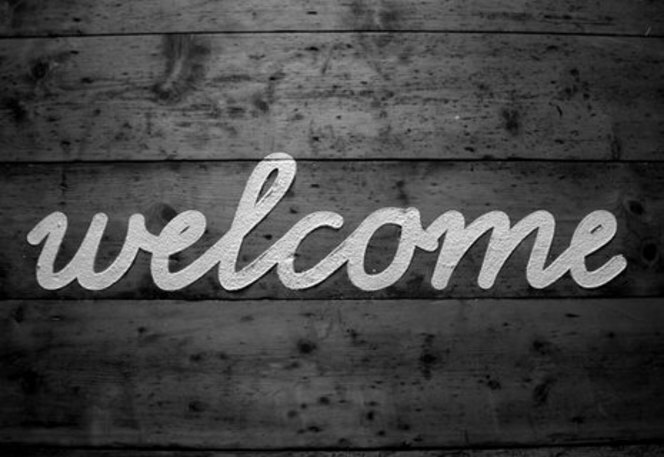 to our selected members, get their direct feedback and help via our Forums and Twitter channels. We are now about to finalize details of the execution plan and expect that the first invitations to be sent already within next week! Public Beta is the last step of our release plan, before Mobile Joomla! goes mainstream. Our hope is to reach to the Beta phase as soon as possible. If we can realize the quality standard as high as we aim, that can be even earlier than anyone expects. We are very excited about the release of Mobile Joomla! at least as much as yourselves, and working hard to make that happen the soonest and the best way possible. I hope we have've been able to answer some of your question marks and give you the idea behind our release plan. Please let us know if you have any further questions or comments. We wish you all a merry Christmas and happy holidays! Hey folks, we're happy to give you yet another good news! We just got our already flashy iPhone template updated to have cool animated transitions between pages! Now following links and wandering around your site is even more fun in your mobile site by Kuneri Mobile Joomla! Just browse mobilejoomla.com on your iPhone and see how it works! Welcome to Kuneri Mobile Joomla! Well, we have been waiting for a long time to write this post. Finally we are proud to announce and launch Kuneri Mobile Joomla! web and mobile sites today! We are excited. In Kuneri, we have been focusing on new mobile since 2006. We created countless mobile apps, designed web and mobile sites, innovated new technologies. Since the beginning, we have been a loyal Joomla! user and prepared majority of our product web sites using it, which gave us a very deep understanding of Joomla! and a great chance to innovate. When we look back, we see hard work and many challenges we came across. We first created Mobile Joomla! for Joomla! 1.0.x CMS, and couldn't wait to let it to the wild as soon as possible. With the release of Joomla! 1.5, we delayed our inital plans and ported our system to fit into new Joomla! 1.5 framework. After a long testing process, we decieded our system is almost ready to go public. Today, we are please to showcase Mobile Joomla! web and mobile web sites for your view and comments. We hope you experience the Mobile Joomla! web site and impressed how well it's displayed on vast amount of mobile devices. Our next goal is to make Mobile Joomla! available to download as soon as possible and see many Joomla! sites mobilized with ease, without hassle. Before we release Mobile Joomla!, we would like to ensure it's stability. In order to achieve that, we need your help to test Mobile Joomla! web and mobile sites on as many phones as possible, and tell us your comments or report any problem/bug you might come across on Mobile Joomla! Forums. As soon as we make sure everything works as it's supposed to; we will make Mobile Joomla! available for your mobile pleasure. Please stay tuned and follow us on twitter! 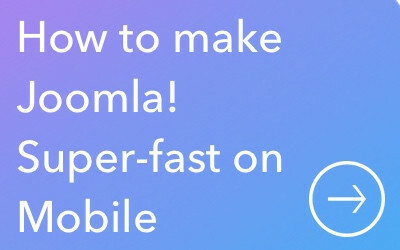 to download Mobile Joomla! as soon as it's available for download.